This cast bronze statue by Ray Kaskey is right in front of 1530 Wilson Boulevard. 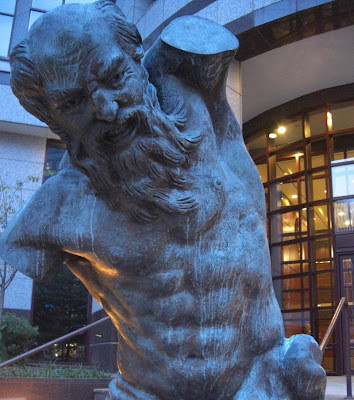 Entitled "Chicago Titan", it has artistic similarities to the Belvedere Torso, which gives added luster to the Belvedere Condominium in Rosslyn. Still, it's nowhere near as impressive as Westmoreland's beans. hello fellow blogger. sweet picture of the building. I've worked in this building for 5 years now. Pretty cool to see it on someone's blog.